Who may NOT own a gun in North Carolina? You may have heard recent news reports of something called a Red Flag Law. 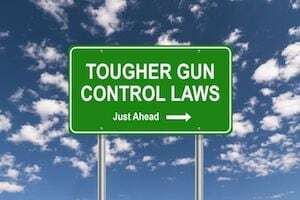 One of the stated purposes of such legislation is to remove guns (firearms) from a person who may represent a danger to either themselves or others. Normally it requires a petition to the Court, which may take the form of a “TRO” Temporary Restraining Order. The Judge authorized to make such rulings, considers the actions, statements made by the gun owner. You cannot own or possess a weapon in North Carolina if you have been convicted of a felony, have been acquitted of certain crimes by reason of insanity, are subject to a 50B DVPO, or have been determined to lack capacity to proceed in a court setting in relation to certain crimes. If you are uncertain whether you are legally permitted to own a gun or weapon in North Carolina, it is important to consult with legal counsel. Is there a NC Red Flag Law? Thus far, North Carolina has not formally passed what might be strictly construed as a Red Flag Law; but, there are instances, such as a Domestic Violence Restraining Order where the Court, based on an ex parte hearing, may Order the removal of weapons until such time as a formal hearing may be held. Different states have different types of weapons laws and what they call their individual Red Flag Law. Can You Conceal Carry in North Carolina? 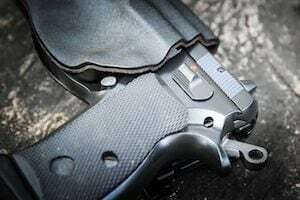 North Carolina allows an individual to conceal carry with a permit. In order to obtain a permit, you must meet certain eligibility requirements in addition to being legally own a weapon. However, North Carolina also allows individuals to open carry a gun without a permit, as long as the individual can otherwise legally own a weapon. What is Carrying a Concealed Gun or CCW Gun? A gun is considered to be concealed if a person would not be able to visibly see the weapon during the ordinary course of an interaction. In other words, it is concealed if the weapon is not readily visible. The scope of a Concealed Carry Permit is listed in NCGS § 14-415.11. However, it is important to note that during encounters with law enforcement, you must inform the officer you have a valid permit and provide the permit with valid identification to the officer. It is also unlawful to conceal a gun, with or without a permit, after consuming alcohol. There are many of gun-related offenses/charges in North Carolina. As criminal defense attorneys, some of the most common offenses we see include Carrying a Concealed Gun, Conceal Handgun Permit Violation, and Possession of Firearm by Felon. In North Carolina, Carrying Concealed Gun (“CCG or CCW Gun”) is a Class 2 misdemeanor for first offenses, and a Class H felony for subsequent offenses. (see NCGS 14-269(A1)). Conviction of Conceal Handgun Permit Violation can range from an infraction to a Class 1 misdemeanor depending on the facts and circumstances of the case (see NCGS § 14-415.21). Possession of Firearm by Felon is a Class G felony and punishable by up to 31 months in prison. Have You Been Charged with a Gun Related Offense in North Carolina? If you have a pending gun or weapon charge in North Carolina, it is important to speak with legal counsel experienced in handing criminal cases without delay. Attorney Bill Powers and Attorney Megan Powell are licensed to practice law in North Carolina and therefore limit their legal representation to clients facing criminal charges in the Pine State. 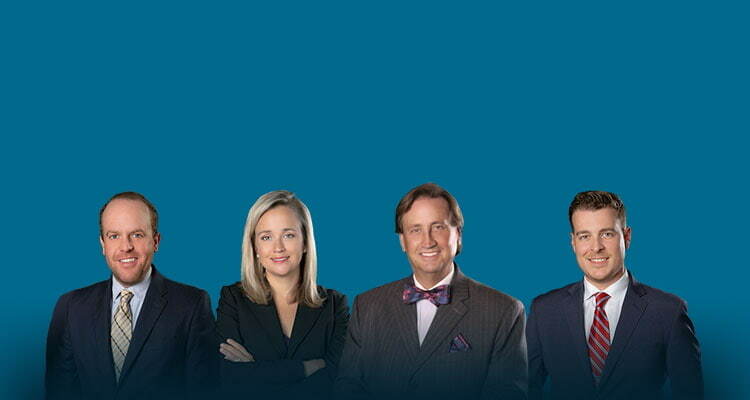 Attorney Chris Beddow is licensed in both South Carolina and North Carolina. If you have been charged with a criminal offense, we would be happy to speak with you about your case. For criminal cases, we offer completely free and confidential consultations.